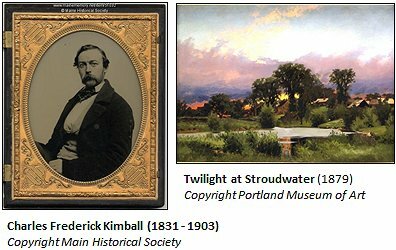 If you go back several generations on my mother’s side of the family, you will find a famous artist named Charles Frederick Kimball. Also on my mother’s side of the family, in a different branch, a couple of generations later, there was a professional commercial artist. On my father’s side, my grandmother was a wonderful artist who painted mostly landscapes of the Mohawk and Hudson River valleys in upstate New York. And, of course, I’m married to an extremely talented artist. You would think with those bloodlines and that much exposure, I’d have a just bit of artistic ability myself. You would be wrong. I love art. I just can’t make it. The closest thing that I come to visual expression is confined to Microsoft PowerPoint creations. However, within that narrow arena, particularly when it comes to engineering subjects, there is still fun to be had. What we’re going to do for this article is undertake one of my favorite pseudo-artistic hobbies and play with expander cycle engine schematics. Above is a Microsoft PowerPoint masterpiece illustrating the Closed Expander Cycle rocket engine. Fuel and oxidizer come in from the stage and are put through pumps to raise their pressure. 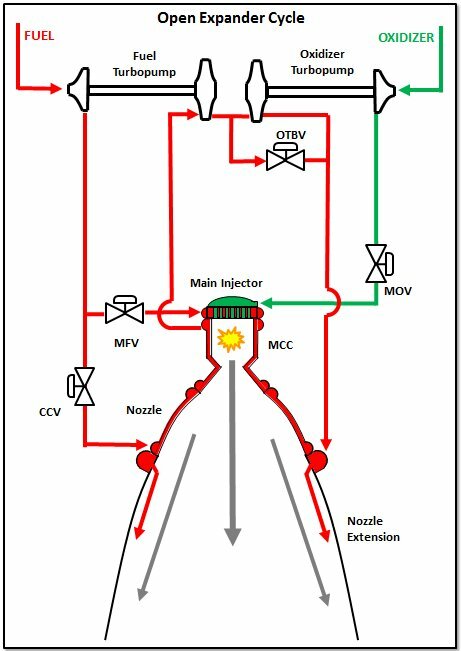 On the fuel side, the pump discharge is routed through the main fuel valve (MFV) to the nozzle and the main combustion chamber (MCC) cooling jackets. I’ve not shown the actual routing here. 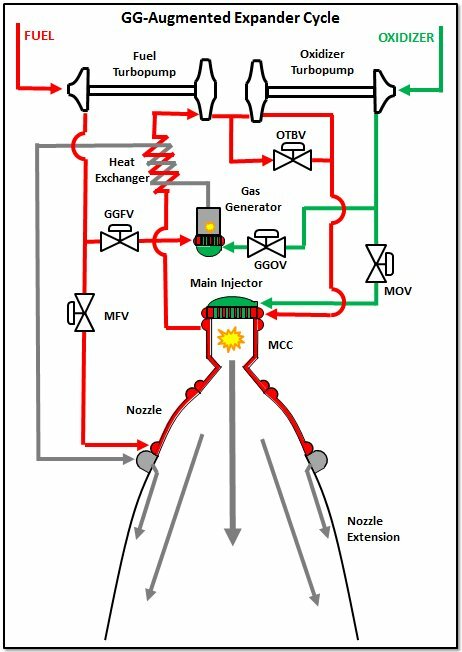 Typically, the MCC is cooled first and then, the now warmer fuel is used to cool the nozzle. The heat loads in the MCC are significantly higher than those in the nozzle. But whatever is the exact routing of the cooling fluid, the discharge, now full of energy picked up from the process of cooling, is fed into the turbines. The oxidizer turbine bypass valve (OTBV) shown in the diagram is a means for controlling mixture ratio by moderating the power to the oxidizer turbine. In some cases, if you have only one mixture ratio setting for the engine, you might be able to put an orifice here rather than a valve. The turbines are driven by the warm fuel and then the discharge of the turbines is fed through to the main injector and then into the combustion zone. On the oxidizer side, the routing is much simpler. The oxidizer pump discharge is plumbed through the main oxidizer valve (MOV) directly into the main injector. 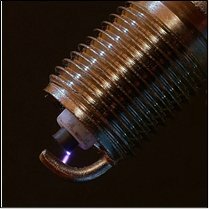 Within the MCC, you have the combustion of your propellants, the resultant release of energy, the generation of high-velocity combustion products, and the expulsion of these products through the sonic MCC throat and out the supersonic nozzle. Ta-da, thrust is made! The closed expander is one of the most simple engine cycles that has ever been imagined. The venerable RL10 engine first developed in the 1950s and still flying today is based on this cycle (with the slight twist that there is only one turbine and the pumps are connected through a gear box – thereby eliminating the need for the OTBV). This simplicity is both the strength of the cycle and also it’s limiting feature. Consider the fact that all of the fuel – hydrogen in the case of most expanders – gets pushed all of the way through the engine to finally end up getting injected into the combustion chamber. All that pushing translates to pressure drops. It means that the turbines don’t have that much pressure ratio to deal with in terms of making power for the pumps. In other words, the downstream side of the turbine is the lowest pressure point in the cycle and that’s the combustion chamber. The result is that your chamber pressure can’t be very high. That means that the throat of your MCC is relatively large and then that means the expansion ratio of your nozzle and nozzle extension start to get limited simply by size and structural weight. 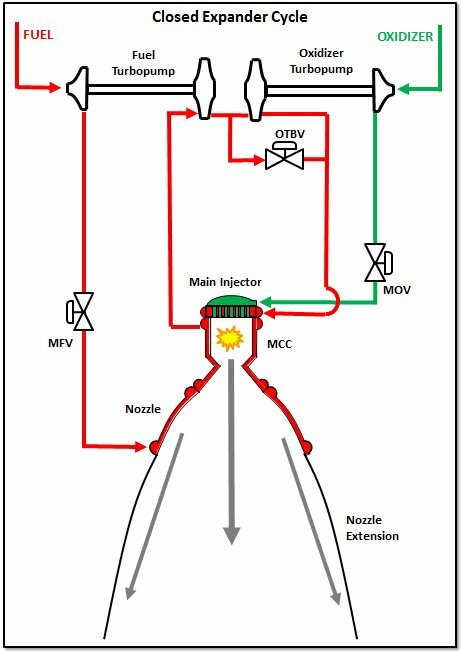 Also, note that all of the power to drive the entire cycle is provided by the heat picked up by the fuel in the MCC and nozzle cooling channels. This then becomes a limiting factor in terms of the overall power and thrust-class of the engine. 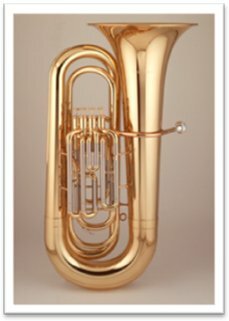 As an engine gets bigger, at a given chamber pressure, the thrust level increases to the second power of the characteristic throat diameter, but the available surface area to be used to pick up heat to power the cycle only increases by that characteristic diameter to the first power. In other words, thrust is proportional to “D-squared” but, to a first order, turbine power is proportional to “D.” Thus, you can only get so big before you can’t get enough power to run the cycle. One means for overcoming this is to make the combustion chamber longer just to give yourself more heat transfer surface area. The European engine called the Vinci follows this approach. But even this approach is limiting if taken too far since a chamber that is too long makes for less efficient combustion and, of course, a longer combustion chamber also starts to get awfully darn heavy. So, how big can a closed expander cycle rocket engine be? Well, that’s a point of recurring dispute and debate. I can only give my opinion. I would say that the closed expanding cycle engine most useful and most practical when kept to a thrust level of less than approximately 35,000 pounds-force. The shortfall being addressed here is the fact that in the Closed Expander Cycle all of the fuel was pushed all over the engine resulting in large pressure losses. In this case, some – usually most – of the fuel is pumped to a lower pressure through a first stage in the pump and then another portion is pumped to a higher pressure. Thus, the fuel supply is “split” and that’s the origin of the name. It is this higher pressure stream, routed through the fuel coolant control valve (FCCV) that is pushed all over the engine to cool the MCC and nozzle and to drive the turbines. The lower pressure stream is plumbed directly into the main injector. The theory is that by not requiring all of the fuel to be pumped up to the highest pressure, you relieve the power requirements for the fuel turbine. It is always the hydrogen turbopump that eats up the biggest fraction of the power generated in the cycle so this is an important notion. 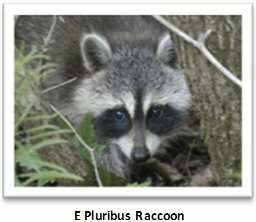 Does this cycle help? Yes, some. Maybe. 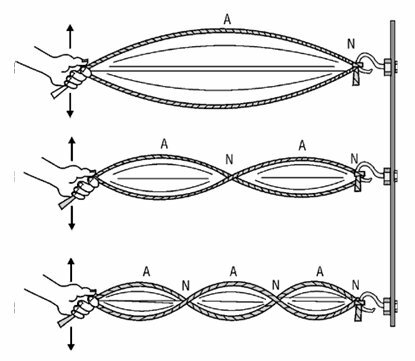 The balance of how much to split, what that split does to the efficiency of the heat transfer (less flow means possibly lower fluid velocities, lower velocities means lower heat transfer, lower heat transfer means less power…) makes it not always clear that you gain a whole lot from the effort of making the cycle more complex. The portrait, however, is nice, don’t you think? It has a realistic flair, a mid-century industrialist-utilitarian feel. Next, wishing to express yourself, you can address the age-old issue of the intermediate seal in the oxidizer turbopump. Take a good look at the first two schematics presented here. 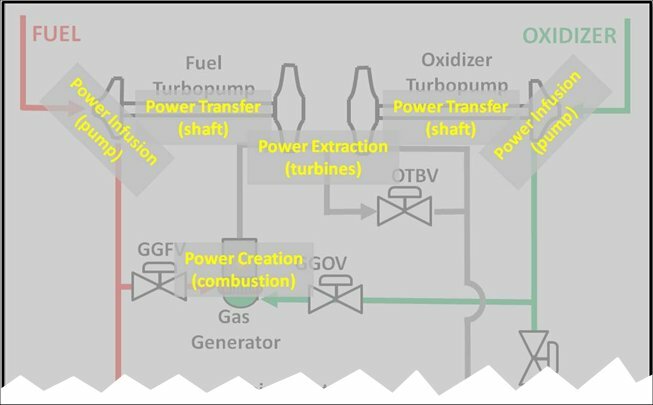 You will see that the oxidizer pump is being driven by a turbine using fuel as a working fluid. This is a very typical situation with rocket engines, whether they’re expander cycle engine or other cycles. For example, this is the situation that you have in the RS-25 staged-combustion cycle engine and in the J-2X gas-generator cycle engine. What that situation sets up, however, is a potential catastrophic failure. You have fuel and oxygen in the same machine along with spinning metal parts. If the two fluids mix and anything rubs, then BOOM, you have a bad day. So, inside oxidizer pumps you usually have a complex sealing arrangement that includes a continuous helium barrier purge to keep the two fluids separate. For the next expander cycle schematic, however, we can eliminate the need for this complex, purged seal. This is a Closed Dual Expander Cycle. It is still “closed” in that everything that comes into the engine leaves through the MCC throat. The new part is that it is “dual” in that we now not only use the fuel to cool, but we also use the oxidizer. Thus, we use heated fuel to drive the fuel turbopump and heated oxidizer to drive the oxidizer turbopump. 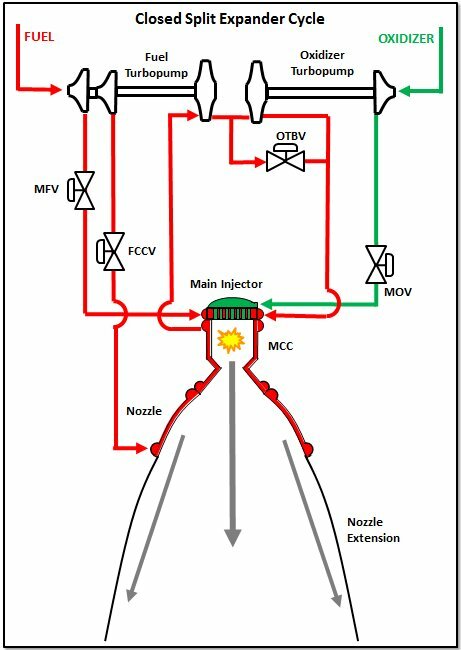 For this sketch, I’ve used a split configuration on the oxidizer side with a portion of the flow being pumped to a lower pressure and routed directly to the main injector and another portion pumped to a higher pressure, routed through the oxidizer coolant control valve (OCCV), to be pushed through the regeneratively cooled nozzle jacket and then through the oxidizer turbopump turbine. I’ve done this since you’re likely running the engine at a mixture ratio (hydrogen/oxygen) of between 5 and 6. 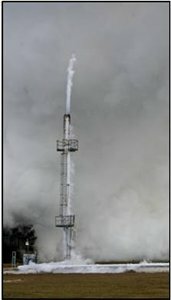 You wouldn’t want to push that much oxidizer through the nozzle cooling channels or tubes. 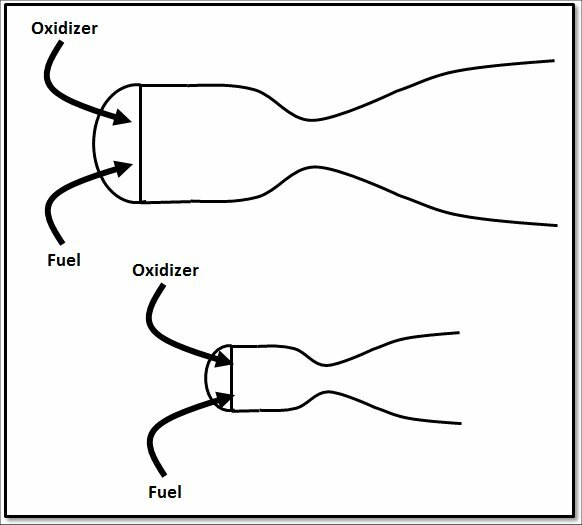 Now, if you’re designing an expander with something like methane as your fuel so your mixture ratio lower, then maybe you can consider a non-split oxidizer side. Note that with the dual expander approach I’ve gotten rid of the need for the purged seal package in the oxidizer pump and thus I’ve eliminated a potential catastrophic scenario (in the event of seal package failure). However, I’ve accomplished that at the cost of some cycle complexity. 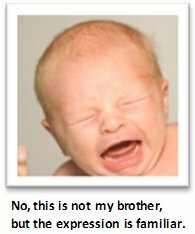 Also, cooling with oxidizer does not always make everyone happy. Whenever you have a cooling jacket (either smooth wall or tubes), you always have the potential for cracking and leaking. If you’re cooling with hydrogen, then a little leakage of extra hydrogen into a fuel-rich environment is a relatively benign situation. It happens all of the time. 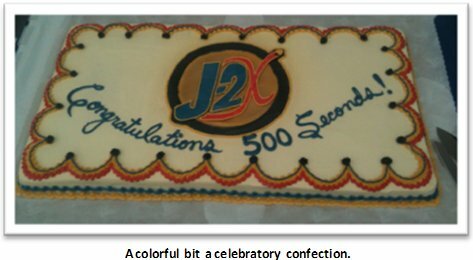 But what if you leak oxidizer into that fuel-rich combustion product environment? Well, some studies have suggested that you’ll be fine, but it makes me just a little uneasy. Then, also, you’re using heated oxidizer to drive your turbine. It can be done, but using something like oxygen to drive spinning metal parts requires great care. Under the wrong circumstances, a pure oxidizer environment can burn with just about anything as fuel, including most metals. So, for all your effort to eliminate the seal package in the oxidizer turbopump, it’s not clear to me that you’ve made the situation that much safer. However, despite these potential drawback, the schematic portrait itself has a certain baroque feel to it with the oxidizer side being positively rococo. 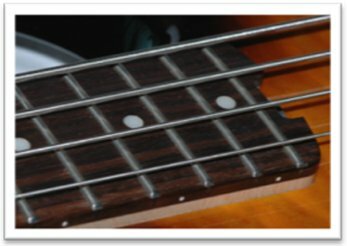 By now, having stepped through the progression, you understand how it is “closed,” how it is “dual,” and how it is “split” (on both sides this time). 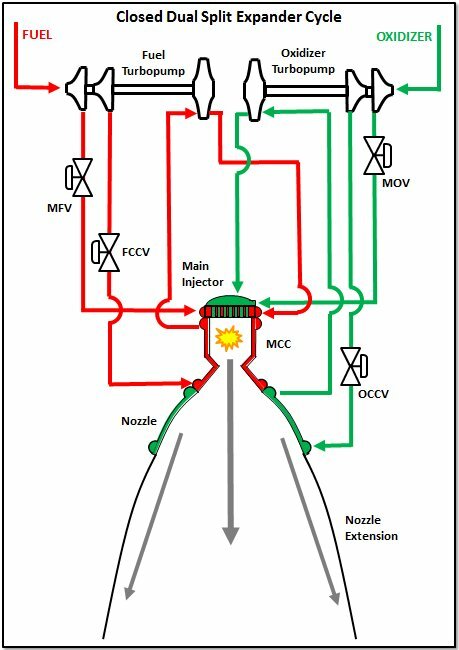 It’s not practical in terms of being a recipe for a successful rocket engine design for a variety of reasons balancing complexity versus intended advantages, but it’s an impressive schematic. To me, it has a gothic feel, almost like a medieval cathedral with glorious flying buttresses and cascading ornamentation that just leaves you dazzled with details. 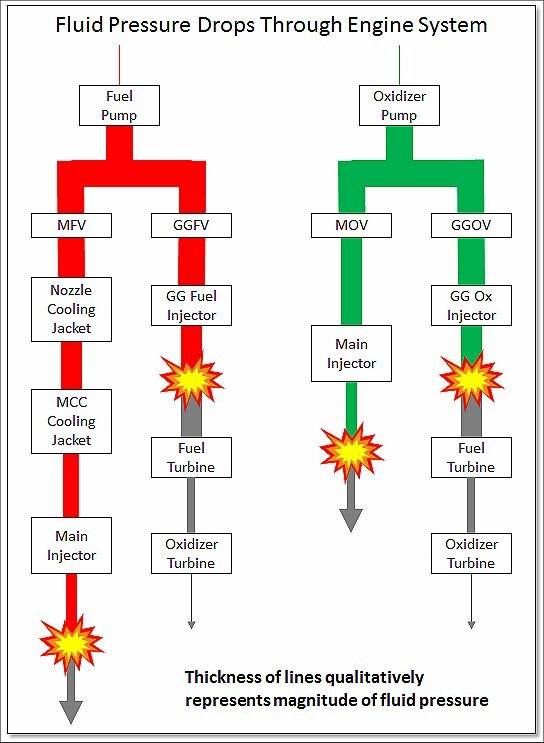 This biggest difference between this and every other previous schematic is the fact that the working fluid driving the turbines is dumped into the downstream portion of the nozzle. This is a much lower pressure point than the main combustion zone. The first thing that most people think when they see this cycle is that it must be a lower performance engine. After all, you’re dumping propellant downstream of the MCC throat. And, yes, that is an inherent inefficiency within this cycle. 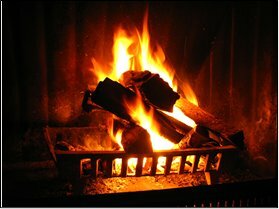 Whenever you expel propellants in some way bypassing the primary combustion, you lose efficiency. However, here is what you gain: lots and lots of margin on your pressure budget. Because I don’t have to try to stuff the turbine bypass into the combustion chamber, I can make my chamber pressure much higher. In a practical sense, I can make it two or three times higher than in a simple closed expander cycle engine. What that allows me to do is make the throat very small and that, in turn, provides for the opportunity for a very high nozzle expansion ratio within reasonable size and structural weight limits. The very high expansion ratio means more exhaust acceleration and, in this way, I can get almost all of the way back to the same kind of performance numbers as a closed cycle despite the propellant dump. Here, however, is the really cool part of the open expander cycle: I can leverage the high pressure ratio across the turbines such that I can get more power out of a given heat transfer level in the cooling jackets. 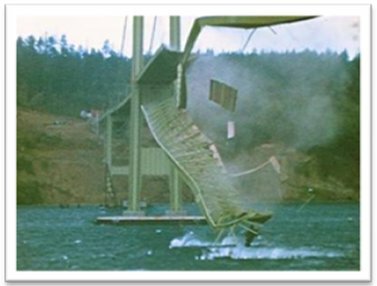 Up above, earlier in this article, I suggested that there was a practical thrust limit for closed expanders of approximately 35,000 pounds-force (my opinion) and this was due to the geometric relationships between thrust and heat transfer surface area. For an open expander, I can design high-pressure-ratio turbines for which I don’t need as much heat pick up to drive the pumps. Thus, I can make a higher thrust engine. How high? Well, my good friends from Mitsubishi Heavy Industries (MHI) and the Japanese Space Exploration Agency (JAXA) have designed a version of this cycle that gets up to 60,000 pounds-force of thrust and I’ve seen other conceptual designs that go even higher. 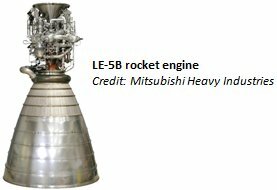 The folks in Japan already fly a smaller version of this cycle in the LE-5B engine that generates 32,500 pounds-force. Note that they often refer to this cycle by another name that is very common in the literature and that’s “expander bleed cycle,” with the “bleed” portion describing the overboard dump into the nozzle. I prefer the designation of “open” since it clearly distinguishes it from the “closed” cycles illustrated earlier. This cycle has a gas generator but is not a gas generator cycle since the combustion products from that GG are not used to drive the turbines directly. Rather, the GG exhaust is piped through a heat exchanger and then dumped overboard. Yes, you lose a little of your performance efficiency because it’s no longer a closed cycle, but the GG flows can be small and what you get out of it is a boost in available turbomachinery power and therefore potential thrust. That’s my own little piece of artwork to demonstrate and anyone can do it. 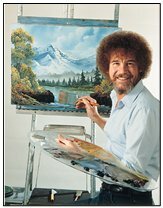 Remember Bob Ross from Public Broadcasting? 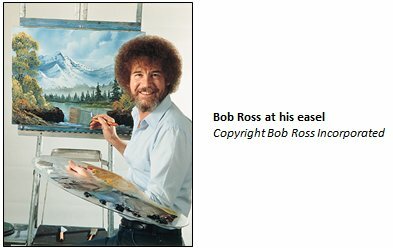 I loved watching his show and, as I’ve said, I can’t paint worth a lick. But his show was relaxing to watch and listen to and he was always so relentlessly supportive. There never were any mistakes. Everything could be made all right in the end. And anyone could make pretty mountains and happy little trees. I’d like to suggest that the same is true about my little hobby of assembling happy little expander cycle schematics. No, most will probably never be built or fly and the schematic portraits will probably never grace the walls of MOMA, but that’s okay. My artist grandmother used to tell me that sometimes the purpose of doing art was not necessarily found in the end product, but instead as part of the journey of creation. 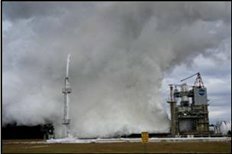 Author wdgreenePosted on January 24, 2014 January 24, 2014 Categories Liquid Rocket EnginesTags Bill Greene, combustion, ignition, J-2X, J-2X rocket engine, Marshall Space Flight Center, oxidizer14 Comments on Inside the LEO Doghouse: Light My Fire! You’ll note that all of the power stuff happening in the engine is happening up on the top portion of the original schematic (and I’ve chopped away everything else). In other words, the major power transfer stuff happening in the components that make up what we call our “powerpack” testing. See? That’s why and that’s where the name comes from. Pretty clever, huh? The whole idea is to get power to pumps so that they can makes lots and lots of fluid pressure so that they can push lots and lots of propellants through the system and into the combustion chamber. That’s the whole point of the rocket engine, push stuff to the combustion chamber to make thrust. So, how much pressure do you need? That’s a matter of how much stuff you’ve got to push the propellants through and how much pressure you want in the chamber at the end. 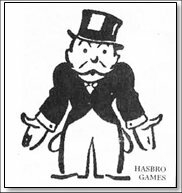 I sometimes think of it like that great old board game Monopoly ®. You pass “Go” and get $200. Remember that? 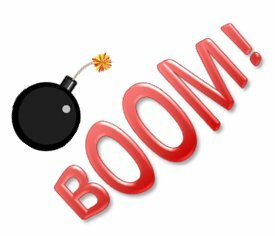 The explosion-looking symbols in that diagram represent combustion zones. One is the gas generator, where you make the power to drive the pumps, and the other is, of course, the main combustion chamber, where you make your thrust. The gray lines represent combustion products coming out of those combustion zones. One last question that needs to be considered is this: How much combustion chamber pressure do you want (and/or need)? 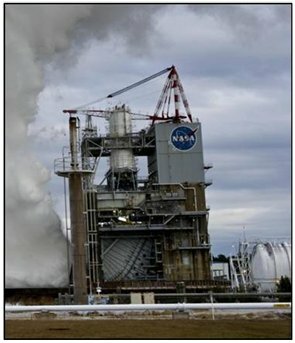 In other words, when your propellants arrive at the main combustion zone, at what residual pressure do you want that combustion to take place? Sounds like a simple question, right? Well, of course, you want it to happen at the “optimal” pressure. But what does that mean? That is not an easy question to answer. In terms of energy release, within certain bounds, the chamber pressure does not much matter (or, at most, it’s a secondary factor). What it really comes down to, believe it or not, is engine size and weight and a handful of manufacturing considerations. In the drawing above, I have tried to show two combustion chamber and nozzle combinations where the one on top has a throat diameter and nozzle exit diameter twice as large as the respective measurements in the lower version. Thus, both engines using these combustion chambers and nozzles would have the same ratio of nozzle exits area to throat area. It’s just that the one on the top would have a throat with four times as much area (area being proportional to the square of the diameter). Would it surprise you to learn that these two engines could generate the same thrust if the one on the bottom had four times as much chamber pressure as compared to the one on top? Yep, it’s true. If the top engine has, say, 500 psi (pounds per square inch) chamber pressure and the bottom one has 2,000 psi, then these two rockets are — to first order estimates — operating at the same performance level. What does that mean? 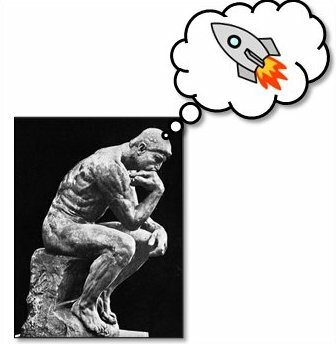 That means that you could have a great big, bulky rocket engine or you could have a small, “tight” one. It would seem that the small one feels more efficient except that with that high chamber pressure you have to generate all that extra pressure in your pumps. That takes a lot of pump power and therefore turbine power. And containing all of that pressure throughout the engine system means thicker walls on your ducts and valves and everything else. Thicker walls mean heavier pieces. So maybe that “tight” engine is really more wasteful. So instead, maybe the big bulky engine sounds like a good idea since it’s easier on your turbopumps. Except then you realize that it’s too big to fit on your vehicle and, by the way, that monstrously big nozzle weighs a ton and nobody has machining tools large enough to produce the thing. So maybe the bulky one isn’t right either. Blah, blah, blah… It’s enough to give you a headache! But those kinds of discussions back and forth are what are known as trade studies and they are the foundation for what your engine will eventually become. There is rarely a simple, obvious answer since everything has impacts on everything else. Calculations that describe how much energy is released by the combustion of your propellants. Calculations that relate pump speed and pump design features to fluid pressure increases. Calculations that relate turbine-drive gas conditions and turbine design features to power extraction. Calculations that describe pressure losses for fluid flowing through ducts, valves, cooling jackets, and injectors. Once you have all of these relationships, then you can perform a power balance. 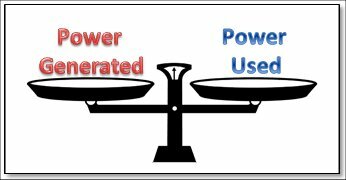 You use your power balance to inform your trade studies. Bigger or smaller? 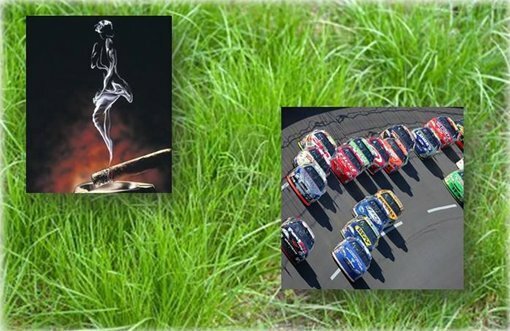 Faster or slower? You just have to realize in using it that you can’t get anything for free. 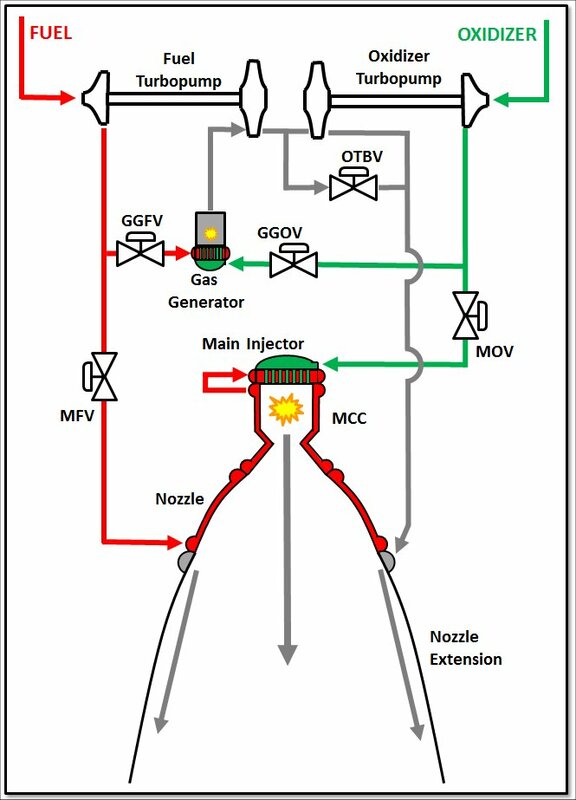 The power that you generate in your gas generator uses up some of your propellants (for a gas generator cycle engine) so they can’t go through main injector with the purpose of generating thrust. You cannot perfectly extract the power from the turbine drive gases. And, you also cannot pump with perfect efficiency. These considerations all have to be taken into account in your calculations. But the result will be an analytical model that can tell you the pressure and temperature of the propellants throughout their journey through the engine. It will tell you shaft speeds of the turbopumps. And it will give you overall performance of your rocket engine. So, let’s say that you’ve been given the job of designing an engine from scratch. You have a thrust requirement and a specific impulse requirement. Let’s say, further, that you know what your propellants are supposed to be and let’s even go so far to say that you’ve been told that it ought to be a gas generator cycle engine. Okay, so now what do you do? Because of your thrust requirement and specific impulse requirement, you can start with a pretty good guess as to your propellant flow rates. Next, generate your schematic layout of the engine and the various components and piece together your simulation of the system. Then, figure out how much pressure your pumps need to generate and, therefore, how much power you need your gas generator to create. Balance that pump power needed with turbine power to be extracted; you’ve now set your gas generator conditions. 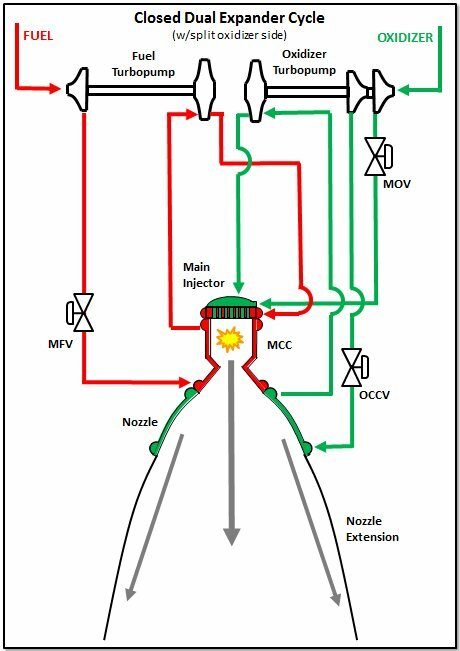 Based upon how much propellant that you’re “losing” down the gas generator / turbine drive leg, you can figure out how much nozzle expansion ratio you need to get to your specific impulse requirement. You now have a rocket engine design. But, is it what you want? Can you build it? Does it fit with the vehicle? Will it be too heavy? 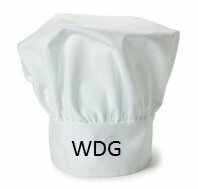 Are the component performance factors within reasonable expectations (i.e., rules of thumb carried around by the various component experts)? 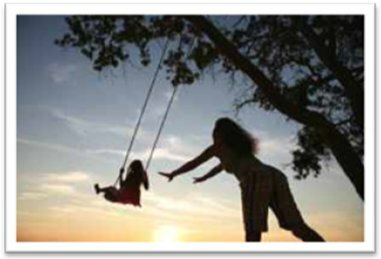 Is the design close enough to a legacy design so that you might be able to leverage previous, related experience? Or, perhaps, is the design all so new and different that the necessary development program will be quite extensive (and therefore expensive)? It may be that there are a whole bunch of reasons why your design, frankly, stinks so you need to go through the whole process again. In the end, after several cycles through, you almost never come up with a design that makes everyone happy from every perspective, but you come up with one that is sufficient, acceptable, and reasonable. So that’s the design that you go and design, develop, and test. 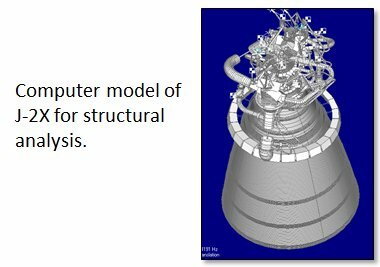 Hopefully, I’ve shown you that a power balance, an analytical simulation of the internal workings of an engine, is an integral tool in the conceptual design of a rocket engine. Once you’ve got some general idea of some key parameters you need, the power balance fills in the details, sets the necessary parameters for your turbopumps, captures your fluid splits and conditions, and establishes the general sizing for your main combustion chamber and nozzle. It uses physics and physics-based empirical relationships — combining the disciplines of fluid dynamics, heat transfer, combustion science, and hardware mechanics — for all of the major components of the engine to balance the power generated against the power used and, in so doing, describes conditions throughout the engine. I just got back into the office a few days ago after a long weekend in Philadelphia. My wife’s niece got married. It was a beautiful venue and a moving service and good food, fabulous band, great party, and celebratory beverages flowed freely. Our niece looked gorgeous and her new husband was suitably handsome. A good time was had by all! 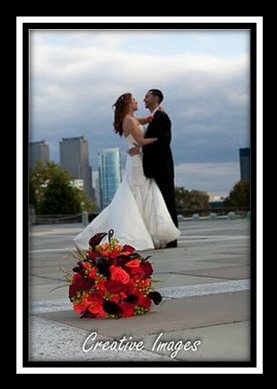 Congratulations Ashley and Carmello! The wedding itself is a great big project. Everything needs to be figured out, from the biggest stuff (Where? When? Who to invite?) to the finest details (What food is to be served at the cocktail hour? What are the different lighting schemes for the service and for the dinner?). So too is the development and launch of a great big launch vehicle. When the engine and the stage come together and the mission comes off as planned, it’s beautiful. Launch day is just like a well planned, well coordinated wedding. Also, beyond just the singular event of the wedding day, there it the issue of everything that follows, i.e., the marriage. And that is a matter of compatibility. The most spectacular venue for the service and the best food for dinner and the grooviest band for the reception doesn’t guarantee happily ever after. Things have to work together on many levels in order for success to be found in a match, whether that’s two people married or the engine and the stage coming together and successfully fulfilling a mission. So what’s “vehicle integration”? Well, it’s lots of stuff. On the one hand, it’s the basic engine requirements. 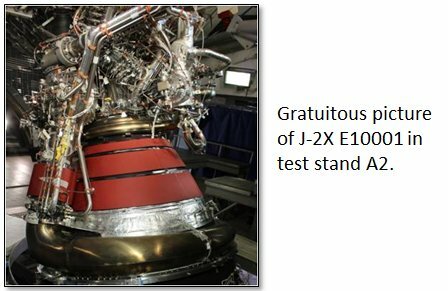 After all, who says that J-2X ought to generate 294,000 pounds-force thrust at vacuum conditions? 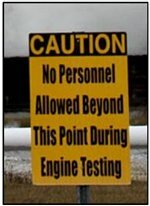 It’s not as if us engine folks get to randomly pick a power level requirement out of thin air. It comes from an integrated, comprehensive mission analysis of the vehicle. While we like to think that the engine folks run the world, the truth is that without a vehicle and a mission to dictate requirements, we’d be nothing more than an expensive science project. The first area, I’ve already discussed in part. Integrated vehicle/mission analysis is used to establish the basic requirements for the engine. Beyond that, though, you have other analyses such as contingency and hazards analyses that examine what happens if something goes wrong. How should the vehicle respond if there is an issue with the engine or the stage or with how the engine and stage interact with each other? So, in addition to defining upfront what the pieces should do, integrated analysis looks at how the actual, designed parts will interact under different circumstance. Note that an output of integrated analysis often leads to the category of induced environments discussed below. This diagram shows the fluids (liquids, gases) that cross the interface with the stage. You have, of course, the propellant flows of liquid hydrogen and liquid oxygen, but then you also have the propellant tank pressurization flows that are used by the stage to keep the tanks pressurized during flight. There are also gases used for pneumatic control of the valves and to perform purges through different phases of the flight. There is a dedicated line that handles high-pressure helium for spin-starting the engine. And then there are drain flows back to the stage for disposal of excess hydrogen and oxygen. This latter category is necessary for safety reasons since, for an upper stage engine, it’s usually enclosed within the vehicle for much of the mission and you don’t want to build up an explosive mixture of fuel and oxidizer in the intertank area. For each of these interfaces, we have to define throughout the different phases of the mission acceptable pressure ranges, temperature ranges, flowrates, and fluid qualities (purity, particulate contamination, etc.). 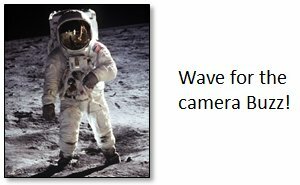 Both sides have to agree that these values at this interface will happen during the mission or else someone might make an erroneous assumption and either the engine or the stage could fail to perform. Sometimes, we need to specify even more detail to ensure mission success such as the two-dimensional velocity profile of the propellants as they enter the engine. Something like this can drive significant design effort on one side or the other (or both) so such details are rarely trivial. The next area of consideration with regards to vehicle integration is induced loads. In truth, these are really just another boundary condition, but we often break them out separately for convenience of tracking and documentation. 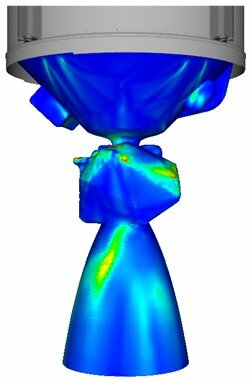 What we’re talking about here are loads: structural dynamics, acoustics, and thermal loads. 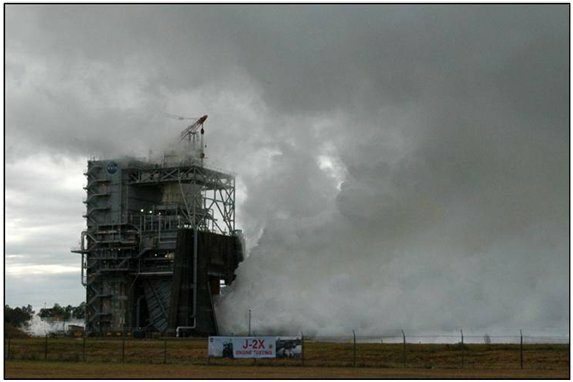 Rocket engines and launch vehicles make lots of rumbling, roaring noise and lots of smoke and fire. That’s part of what makes them kinda cool (right?!). But it’s also the kind of stuff that can cause damage if not properly accounted for in the design. The last category in my simplified breakdown of vehicle integration is that of operations. This comes down to who does what, when, and how. Bringing together a whole vehicle requires quite a detailed set of instructions. It’s a lot more than “Insert tab A into slot B.” And the pieces that you’re assembling come from several different project office and different contractors located all over the country. So, on the one side of the issue is the technical matter of how you do the whole thing, but on the other side, just as importantly, you have the issue of who is responsible for performing the tasks. With tasks come manpower, roles and responsibilities for facilities and tooling and, before you know it, meaningful expenses. Thus, (ta-da!) you’ve got more negotiations and agreements and documentation. 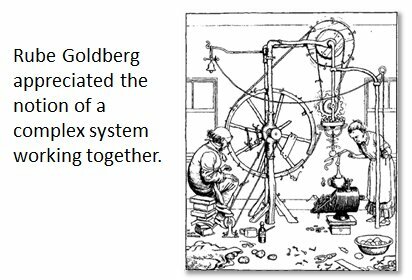 So, engine-to-vehicle integration is, in the end, like a long, complex, heavily negotiated, analyzed, and documented marriage. 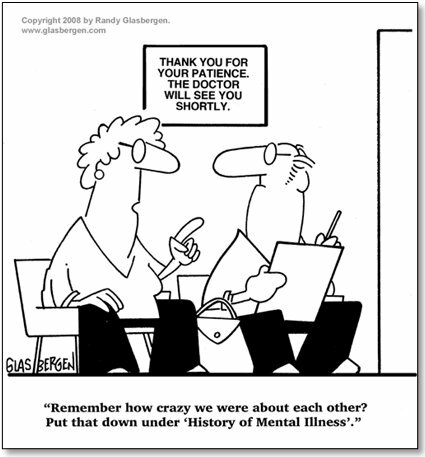 Perhaps then, other than the documentation part, it’s probably like most successful marriages over the long haul.